Father’s Day is June 18th, and perhaps you are still looking for the perfect gift to give your dad? Don’t worry–it happens, and we have the solution! If your dad has always wanted to publish a book, self-publishing may just be the perfect present, and if he prefers to read over writing, we have a great range of self-published titles that just might pique his interest! Here are three ways you can give your dad the gift of self-publishing this Father’s Day. 1. Buy him a publishing package. Self-publishing companies offer a variety of publishing packages to meet a range of needs. Purchase a publishing package with your dad’s favorite publishing company–Outskirts Press! Outskirts Press even offers instant gift certificates you can order online. 2. Self-publish in his honor. If you’ve written a book in honor of your dad, either a memoir or a work of fiction, now is the perfect time to publish it. He will be deeply touched by the special gift and cherish it forever. 3. Buy him a book! The Outskirts Press bookstore is packed with great books with appeal for readers of all ages, including such diverse titles as A.L. 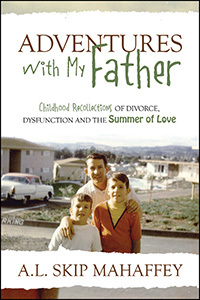 Skip Mahaffey’s Adventures With My Father: Childhood Recollections of Divorce Dysfunction and the Summer of Love, a memoir which chronicles the author’s dysfunctional existence growing up with one of the strangest, most bizarre people Mahaffey ever encountered — his dad. There’s also father stories: experiences being a father, a book of (deliberately lowercase) reflections by stewart l wolff as he struggles to be a “good enough” dad — and child psychologist. 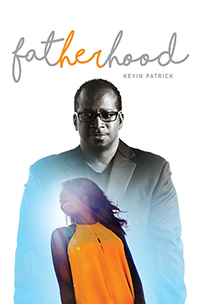 In a similar vein, Kevin Patrick’s Fatherhood charts the effects of a traumatic car accident which left the author paralyzed from the waist down, with a two-month old daughter to raise. 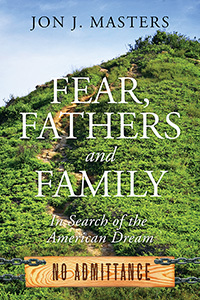 And lastly, Jon J. Masters’ Fear, Fathers and Family: In Search of the American Dream lays out the work of living underground, harboring secrets both within one’s family and from the world outside. All four of these books make for a compelling read, and serve as excellent examples of the memoir form! Pick up a copy of these or any other Outskirts Press titles in our online bookstore, and spend your Father’s Day immersed in the rich world of books and the people who write them! You can find out more information about these books, their authors, and how you yourself can become a self-publishing author online at www.OutskirtsPress.com! Next Next post: Edit to Get Ahead!